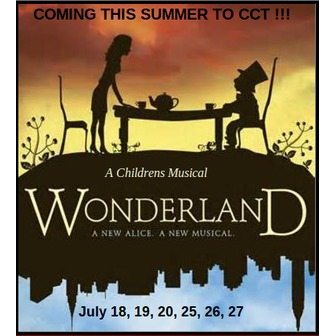 CCT's Annual Summer Musical Fundraiser "Wonderland"
Summer Musical Fund-Raiser in July. Our always popular Summer Musical Fundraiser will once again return to the CCT stage July 2013 with the delightful childrens musical "Wonderland" based on the fairy tale Alice in Wonderland. Directed by Carolyn Olson and Mannie Bemis. 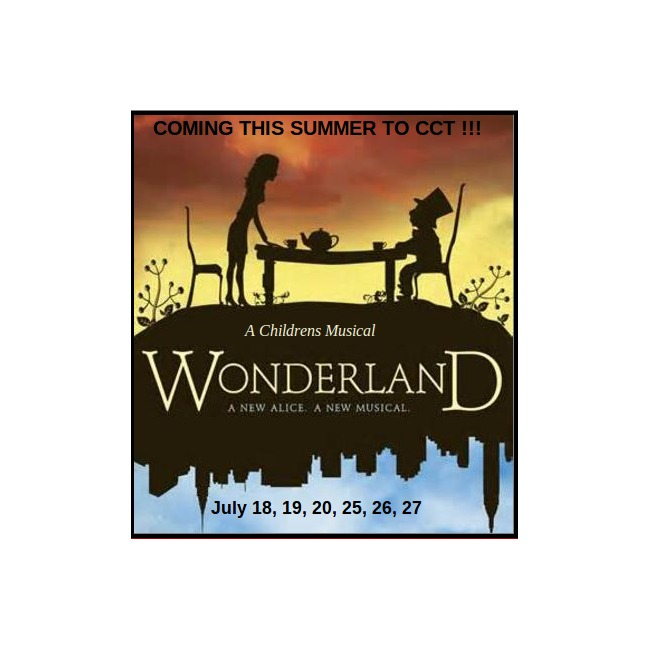 This summer is all about the children as CCT proudly presents our Summer Musical Fundraiser "Wonderland" a childrens musical based on the story of Alice in Wonderland and adapted from Lewis Carroll's Through a Looking Glass. This year's production will be Directed by Carolyn Olson and Mannie Bemis who recently produced the very successful and entertaining "A Christmas Carol Scrooge and Marley". Wonderland! is an unabashedly silly adaptation of Lewis Carroll's Through the Looking Glass. With hip-hopping music, it is an upbeat, coming-of-age story that audiences of all ages will adore!